The technicians were polite, professional and knowledgeable. Appreciate the work this location did to resolve our vehicle's catalytic converter issue and the work on the rear brake shoes. Appreciate Kevin staying after closing hours for us as we were running a bit late on the finished vehicle pickup. Excellent service! Kudos to Januthan and his team during that day. The employee behind the counter was most helpful and efficient. Lots of people came in but he was consistently calm and helpful to everyone. 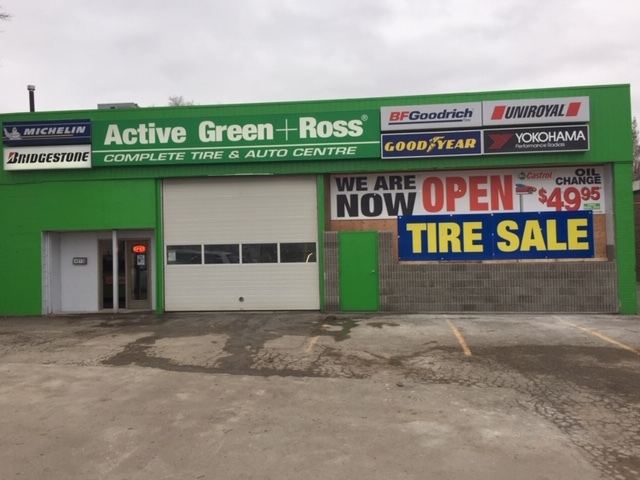 Thank Active Green + Ross for installing winter tires of our company fleet.